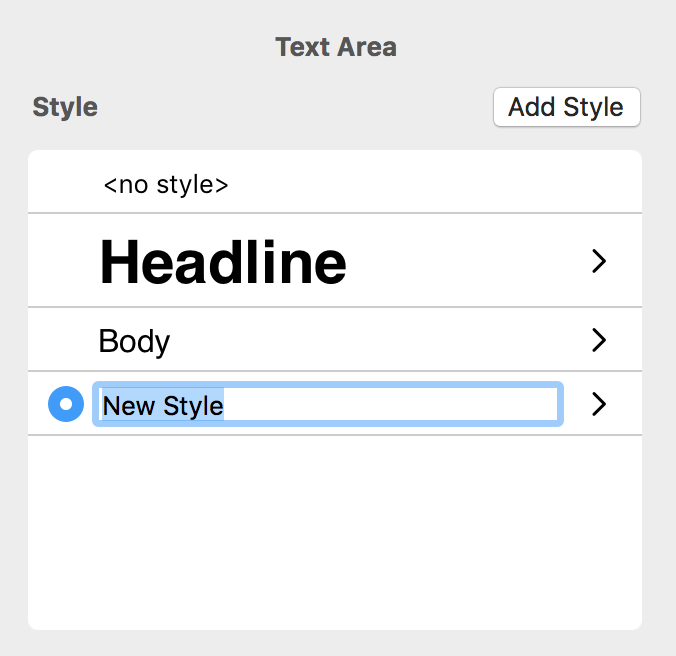 Selecting text from a text area will open the Style section of the sidebar. You can choose from a variety of different styles for your text. To add a new style, click “Add Style” in the sidebar and enter a name for the new style. 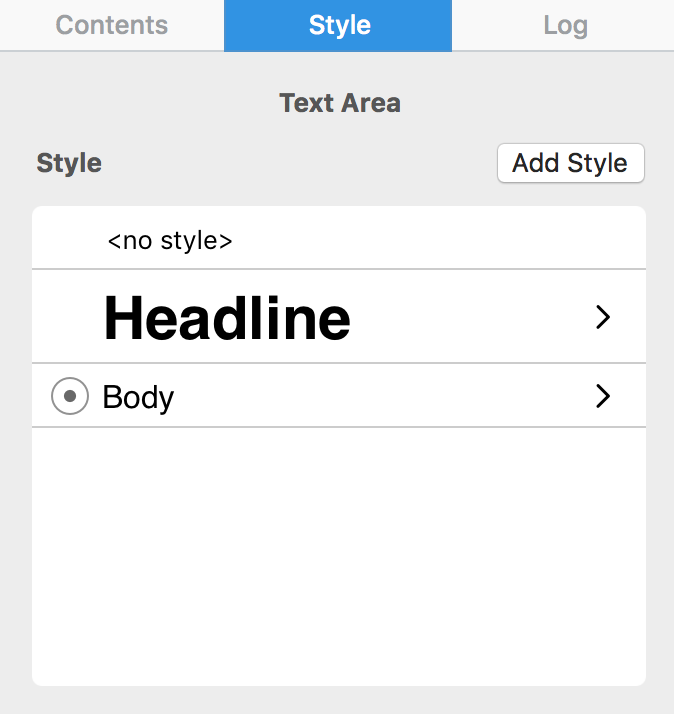 You can now choose the font and the style. You can find the font size and other formatting options in the sidebar.